I wanna imagine it in Euro format. 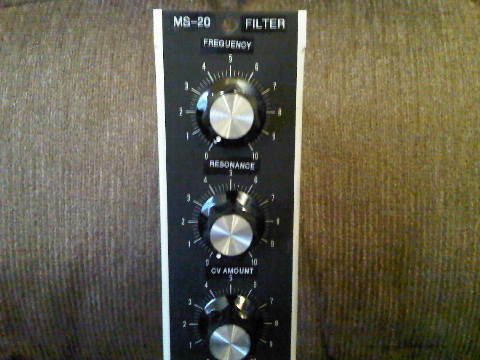 I've had an MS-10 for close to ten years now and still LOVE the sound of it! i'm really glad to see what you did with the panel. was it easy to work with? i can't talk about future modules but let me say i want to get some things out of the way before i go back to filters. 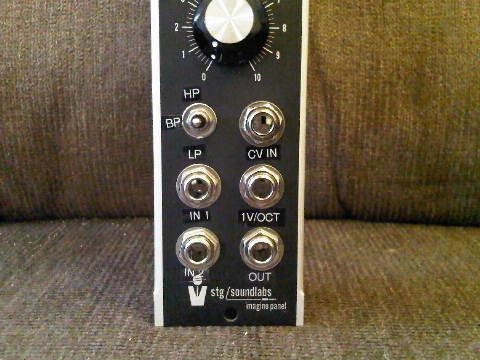 like a VCO for example, or an EG. 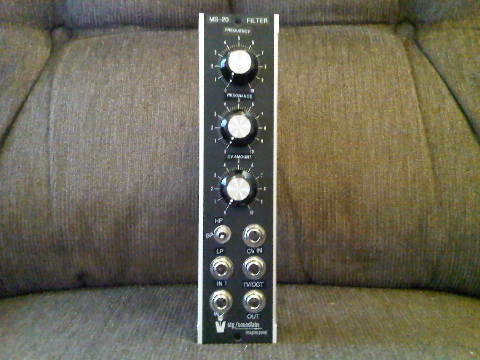 Well a big thank you to you as well for offering this faceplate for those who prefer the MU format for their modular! I did not build the module, Mr Todd Fletcher built it for me, using a PCB for the Rene Schmitz project that I provided. I labeled the panel, but I can see that I need to do a better job next time getting the adhesive labels straight. I had also looked at using the panel to re-panel a MOTM 490 filter, but I found that the holes for the pots were a little too small ( I do not know if the 490 was Synthtech or DIY built) and would have to be reemed out a little. If I ever find an inexpensive 490 again, I probably will repanel it, as I love the sound of that filter! I may end up selling this filter now, as I may need the cash for another bit of kit that I need now, built a I have a second MS-20 filter PCB that I will eventually get built up, so I will have to buy another Imagine Panel (or two) in the future as well.